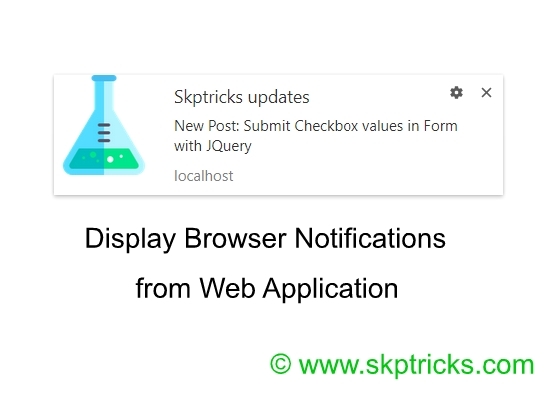 Browser desktop notification system helps to push the new updates notification in web application using browser. This notification system is quite bit similar to android notification. we are providing the source which helps you to integrate notification system in application and through which you get the real time updates. Note: Use this Chrome and Firefox Browser.